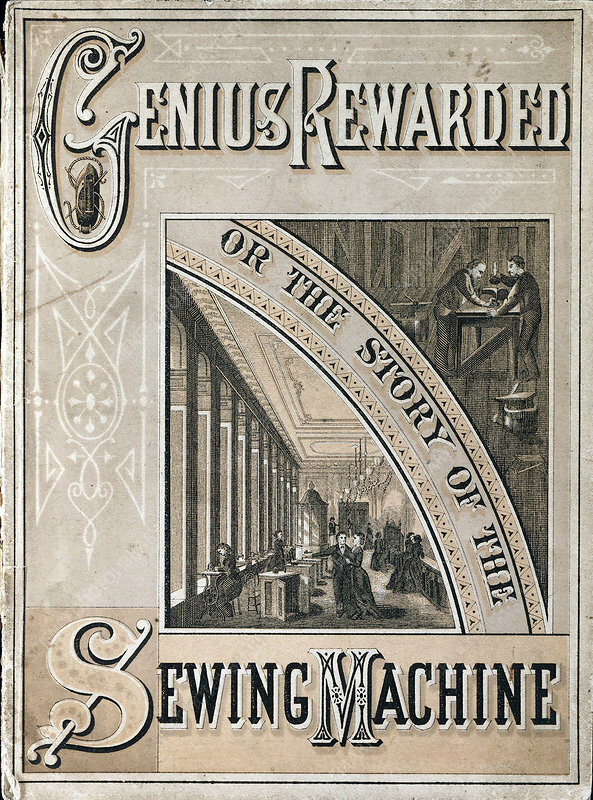 Cover of Genius Rewarded, or the History of the Singer Sewing Machine, 1880. American inventor and manufacturer Isaac Merritt Singer (1811-1875) patented his famous sewing machine in 1851. The cover of this book shows Singer working on his invention (top) and a Singer sewing machine factory (bottom). York, 1880).